help_outline Searching for a specific product? By buying this product you can collect up to 49 points. Your cart will total 49 points that can be converted into a voucher of €0.49. It boasts a box with parallel configration of the batteries, contacts and lamellae in copper, and considerable build solidity. 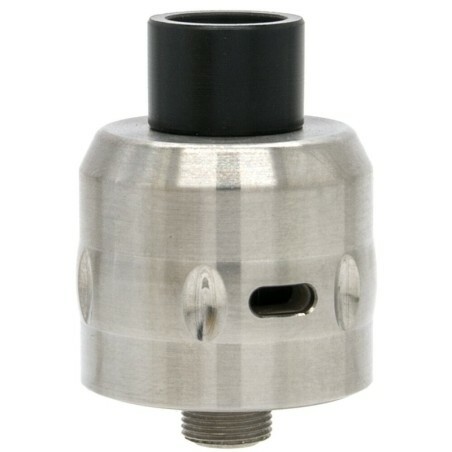 The 510 connection has the spring pin, and allows you to mount most of the regenerable and RDA (dripping), hosting atomizers up to 25 mm in diameter without problems. The box works without problems with resistances up to 0.1 ohms (under this value the physical protection against short circuit trips), and allows to develop very high powers. Aesthetically cured, and with replaceable magnetic panels to customize the look, this very solid mechanical box (weighing over 250g) is an object with an excellent price / quality ratio. It is equipped with a lock mechanism which can be accessed by removing a small magnetic panel, for greater transport safety. The atomizer included in the kit, is one of the most popular RDTA-Geekvape, which has a capacity of 3ML The Medusa RDTA, is in practice an RDA with a larger well, which allows you to recharge less often and is a kind of hybrid between dripping and tank. With a velocity style deck, large thread holes and large M3 grub screws, this adjustable side air atomizer has an excellent performance. E-Cig provides an alternative to traditional tobacco cigarette. Professionally does not mean it can be used as a nicotine replacement therapy for smoking cessation.